This ring setting has captured a rare round cabochon cut piece of the cosmos and nestled it amongst tantalizing diamonds. 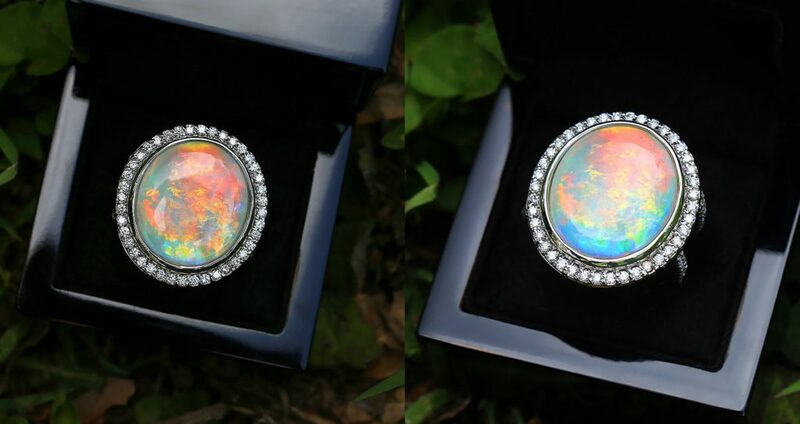 This solid 14kt white gold diamond encrusted setting was custom made by our jeweler specifically for this Lightning Ridge opal which weighs a spectacular 10.74 carats. 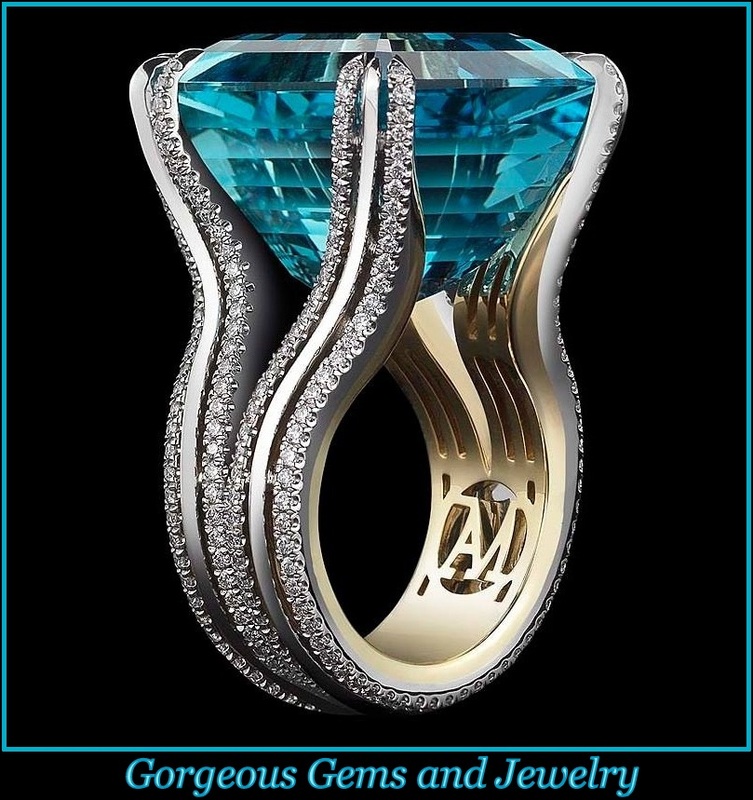 You truly are on a interstellar adventure upon just gazing at this gemstone as every single twist and turn creates a new and exciting breathe of color and fire. Opals are a rare breed in that just when you think you’ve seen them all, another one completely amazes you. This beauty is surrounded by a halo of natural round brilliant diamonds. This halo setting is lifted nearly 1/2″ above your finger on a wide split shank ring where more diamonds are encrusted. Just underneath the halo on all four sides are a fleur de lis symbol molded out of the gold resting in open space. This statement ring is bold, large, unique and indescribably beautiful as it is of the most beautiful gems we have seen. This ring weighs 23.1 grams and its ring face measures 1 1/8″ from North to South and 1″ from East to West.